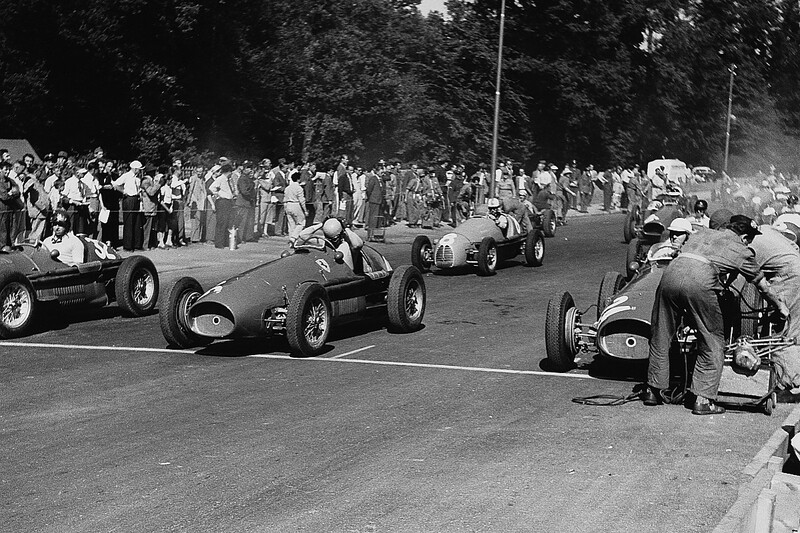 After a 64-year gap, motor racing is returning to Switzerland. This weekend's Zurich E-Prix will be the first closed-circuit motorsport event to take place in the country since the Swiss government banned racing following the 1955 Le Mans disaster, in which more than 80 spectators died. The most recent world championship circuit event (hillclimbs have been allowed in the intervening years) remains the 1954 Swiss Grand Prix at Bremgarten. But that's about to change. Formula E has been leading the charge to bring motor racing back to the country. 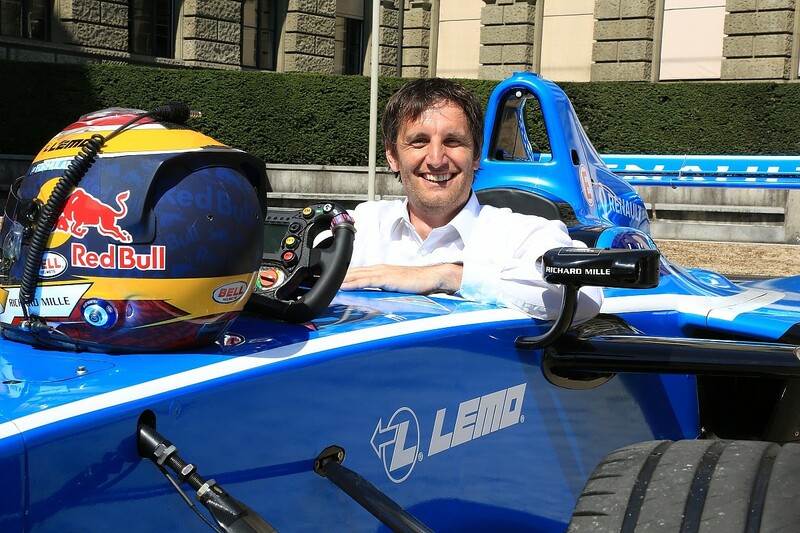 In March 2015, former Andretti FE driver Simona de Silvestro drove the electric championship's demonstration car on the streets of Geneva, and later that month the law banning motor racing was relaxed. In the wake of that development, a Swiss E-Prix was announced for the city of Lugano, with mayor Marco Borradori agreeing an exclusive deal with FE CEO Alejandro Agag to stage the event, subject to the organisers raising €10million. The Lugano bid faltered, with Zurich stepping up as the next potential candidate. The end of motor racing's six-decade absence from Switzerland was finally confirmed last autumn by the FIA's World Motor Sport Council. Agag acknowledges the part that Swiss politicians played in changing the law - the race's promoter and organiser, Swiss ePrix Operations AG, calls Zurich councillor Roger Tognella the "initiator of the idea to bring Formula E to Zurich" - but also credits the number of FE sponsors that are based in the country, in particular watch manufacturer Tag Heuer. "Effectively the first one who brought us to Switzerland was Jean-Claude Biver, the CEO of TAG, which is one of our founding partners," says Agag. "Of course having TAG, Julius Baer and ABB [FE partner and title sponsor respectively] in Switzerland counts a lot - but it was Jean-Claude who started hinting at the possibility of changing the law and doing this." Swiss ePrix Operations was established last year by Pascal Derron (pictured below), who joined the Zurich project "about eight months ago". The race is privately financed, with the city not bearing any of the costs arising from the racing, according to the organisers. But in order to get permission to host the event, Derron had to enter into negotiations with the office of mayor Corine Mauch. "First of all you have to get the permit [from the city], which is very important," he says. 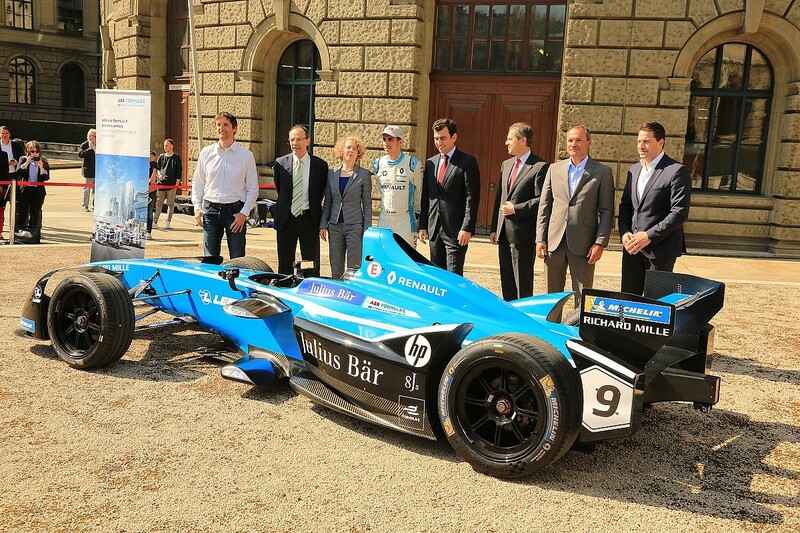 "Then you have to get the licence, which is not so difficult because Formula E wanted to come to Zurich. And then the last thing you need to get is the finance. "After I got the permit, I had to submit a bank guarantee - a couple of million - which I, as a private person, obviously don't have. But then I found investors and all kinds of support to put the finance together, and then I went to Alberto [Longo, FE deputy CEO] and said, 'Let's do the race in Zurich." As well as conducting negotiations with politicians, Derron had to make sure that Zurich's infrastructure services were happy for the race to go ahead. "We went to the ambulance, the firefighters, the police - we all showed them our concept," he explains. "Everyone gave us feedback, so we corrected everything in the plans, circled back until the police said, 'From our side, now it's actually fine'." FE has broken new ground before - its London and New York events beat any of the long-desired Formula 1 races in those iconic locations - but Agag sees the Zurich race as an important development for the electric series precisely because motor racing had been banned for so long. "For me," he says, "going to Switzerland is a great symbol of how Formula E is changing things because in a country where racing was banned, now there is going to be racing. "I think it's good for motorsport in general that we open new countries - especially somewhere like Switzerland, which has so much potential and so many companies that can support motorsport. We have Sebastien Buemi and many other drivers from Switzerland, so I think it's a perfect place for us to race. "To be honest, we didn't really do it ourselves - it kind of happened in Switzerland on its own. So we just waited - they wanted to do it. Some members of parliament had the initiative of pushing forward with this." Buemi, the 2015-16 FE champion, who has racked up 12 race wins in the series - the most of any driver - is "very much" looking forward to his first-ever home race. 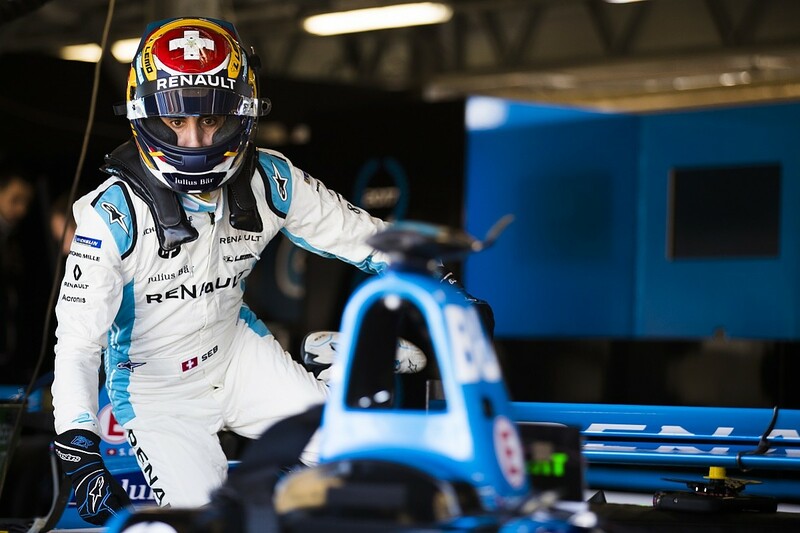 Hailing from Aigle, Buemi has experienced the challenge of prevailing in a sport that he could not practise in his own country. As well as the race itself, Buemi is pleased by the number of Swiss companies that have invested in FE. Should he win in front of his home fans, it will mark an entire calendar year since Buemi and his Renault e.dams squad's last FE victory, which only came in the second race at Berlin due to a time penalty for on-the-road winner Felix Rosenqvist. "We've always said that Switzerland is not really helping its drivers, but now if you look at all the sponsors we have in FE, most of them are Swiss," Buemi says. "So it does feel good to see that, because in the past they were not really helping drivers or even championships. I can't wait for Zurich." The race will take place in the Enge area of the city's second district, with the pits and start/finish line set up opposite Enge harbour on the shores of Lake Zurich. The circuit has just 11 corners, with long main and back straights making up most of the 2.46km (1.53-mile) course, following a first half containing several point-and-squirt segments and 90-degree turns in classic FE style, but this should make for overtaking opportunities at the Turn 10 hairpin. "I've walked it - we've had a few marketing things around the track - it's definitely the right location," says Buemi. "The track itself is not bad - a few of the corners look the same - but I'm looking forward to driving the shakedown just to see for sure. It's going to be cool." FE's most recent new location was Rome, three races ago, which garnered a lot of praise for its track layout. One of the most popular aspects of that venue was the elevation changes provided by Rome's undulating topography, something Derron laments that Zurich does not have. New races have not always been welcomed by locals, particularly in London and in Santiago. But Agag expects 100,000 to attend and Derron believes the Zurich event has already had "a positive impact"
"Zurich has almost everything that is needed," he says. "You have long straights, two high-speed areas and one hairpin, which is going to be great for racing. The main thing that's missing is the elevation - that would be nice, going up and down - but on a lake it is very difficult to get the elevation change. But on the other side we have a nice view, so the track is actually very attractive." Unusually for FE, the Zurich race will take place on Sunday. 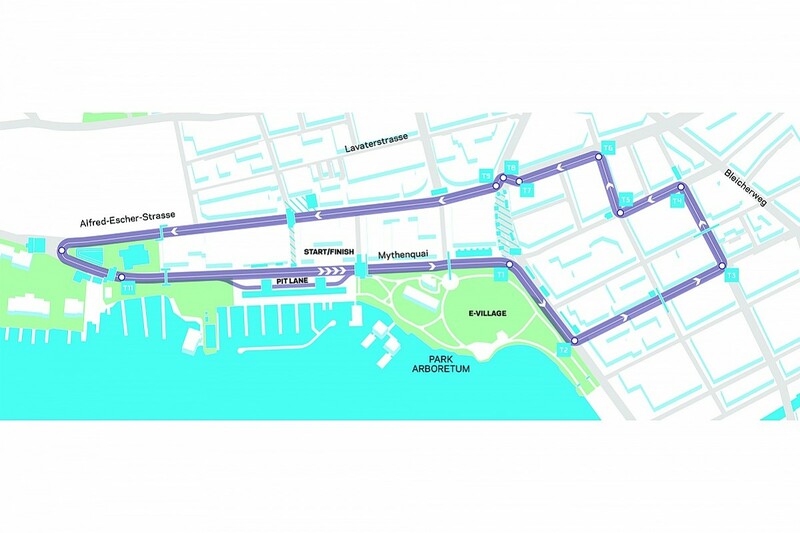 This was at the request of the local organisers to minimise disruption to the city, as ePrix events involve a pre-race-day shakedown that often means another day of street closures. The race start time is also later than normal, with an 1804 slot to avoid clashing with the French Open tennis finals. Derron has secured a nine-year licence from FE to host the race, and the current arrangement with Zurich officials is for two years, with "not an option, but kind of, if there is an interest in extending it". "But they already say that they want to do it," Derron continues. "I mean, all the construction they are doing. They are building streets now for the removal of traffic islands - that's long term." New FE races have not always been universally welcomed by the local population - particularly in London and more recently in Chilean capital Santiago. Agag says that "over 100,000 people" are expected to attend the inaugural Zurich race, and Derron believes the event has already had "a huge positive impact". "Obviously they are going to feel [the effects] because there it will be major work," says Derron, "and we tried to avoid work as best we can, and communicate with them and inform them very well, but in general the people like it." But Agag adds that there are small tensions surrounding the size of the event. "People are very excited, but at the same time they're kind of cautious because they're expecting a big crowd," he says. "So they want to make sure everything is fine." The Le Mans disaster lived long in Switzerland's memory. But come race day on Sunday, Derron doubts the tragedy will play on people's minds. "Everyone knows that times have changed," he says. "The pictures are not there anymore in their heads. They're not focusing too much on the accident." Huge changes have taken place within motorsport since the last time a race took place in Switzerland. And with Formula E - and the electric-vehicle-based plans of the OEMs flocking to the series - the sport returns with its eyes fixed on its future. Alex Kalinauckas is Autosport's Plus Editor and Formula E correspondent. After completing a master's degree in journalism at Goldsmiths College, University of London in 2014, he worked for a range of technology and motorsport publications while covering national racing as an Autosport freelancer. A lifelong motorsport fan â€“ no one in his family can explain quite how or why such a development first occurred â€“ Alex joined the Autosport staff in April '17 as the Magazine Assistant Editor covering Formula 2 and GP3, before switching to his current roles in March '18. He lives in north-east London and is constantly frustrated by the Central Line.